The 3-Sided Columns have only six workstations but provide much greater access to three or more sides of your work pieces. 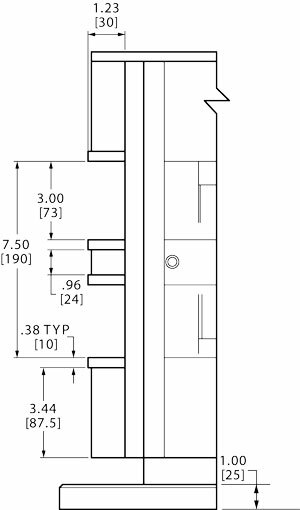 This design is especially beneficial on machining centers with large spindle noses. No need to sacrifice tool rigidity for access, by having tools extended too far from the tool holders. The universal base will mount directly to most HMC tables, using the provided mounting holes on 80MM or 100MM centers. Increase your productivity even more by adding the Jergens Ball Lock Mounting system to your HMC. Exchange your vise columns and all other fixtures in less than a minute. Location of all fixtures will repeat within .0005" every time. Custom mounting patterns and base dimensions are available. Please contact Jergens Customer Service for more information. 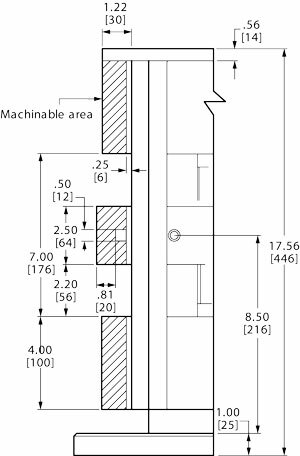 Allows for up to 240 degrees workpiece accessability.